With Friday morning’s win in the $10,000 SHF Enterprises 1.25m-1.35m class, Canada’s Erynn Ballard of Tottenham, Ontario, made it a clean sweep of the 7 & Under Jumper divison for young horses. Ballard and Maestro Vica V/D Ark, owned by Ilan Ferder and a silent partner, also won the $10,000 Brown Harris Stevens class Tuesday, as well as the $10,000 Bruno Delgrange class Wednesday. Although the six-year-old was just imported in May of this year, Ballard said the Hampton Classic was the goal and the plan for him since he set foot in North America. They competed lightly over the summer, Ballard remarking he’s taken to show-horse life very well. Two second-place finishes earlier in the week gave the Reserve Championship to Devin Ryan, with his own How Do You Do. Early Friday afternoon, Ireland’s Richie Moloney won the $15,000 Open Jumper 1.40m Speed Derby, with Alsvid, owned by Equinimity LLC. Less than a second separated the times of the top three horse-and-rider combinations. Moloney clocked in at 64.975 seconds, Santiago Lambre of Mexico and D’Artagnan were second with a time of 65.533 seconds and double Olympic gold medalist McLain Ward was third with Queen Jane, in a time of 65.562 seconds. The course included the natural obstacles which the Classic’s grand prix ring is known for: the bank, the open water and the beautiful trimmed hedges with a rail on top. Alsvid, a 17-year-old Hanoverian is a veteran of the Hampton Classic, having competed here every year since he was a five-year-old. For those who can’t make it to the show grounds, complimentary live webcasts of all Grand Prix ring competitions air on the Hampton Classic website, produced by ShowNet and courtesy of LONGINES. 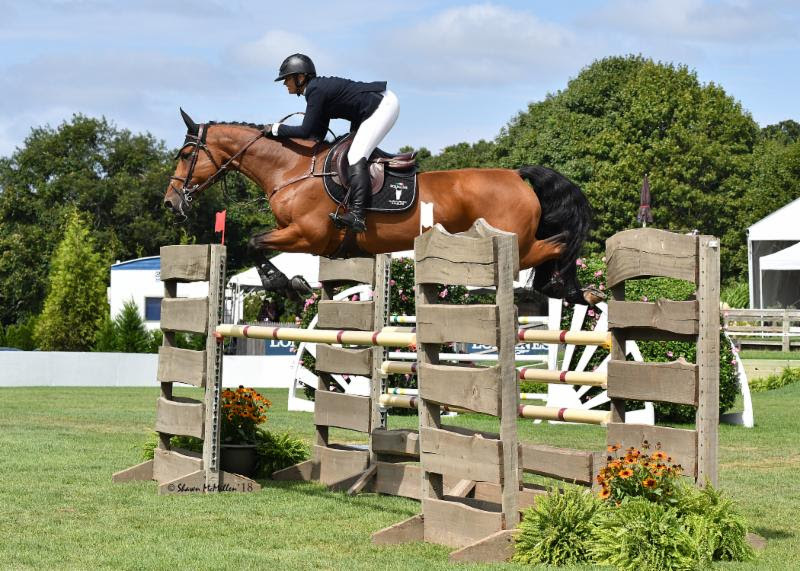 In addition, WVVH-TV, the official Long Island television station of the Hampton Classic, broadcasts up to five hours of competition and highlights each day during the Classic. These broadcasts can also be seen on line at www.wvvh.tv. Most of the Classic’s other classes are also available on ShowNet.biz. Further information on the Hampton Classic Horse Show is available at the Hampton Classic website at www.hamptonclassic.com.